A valued member of the team: You will join a team who value your contribution and understands the importance of effective training and development, to ensure the best people are our people! Work close to home: No one loves public transport or city traffic. We also have free on-site parking. It’s a work life balance thing! 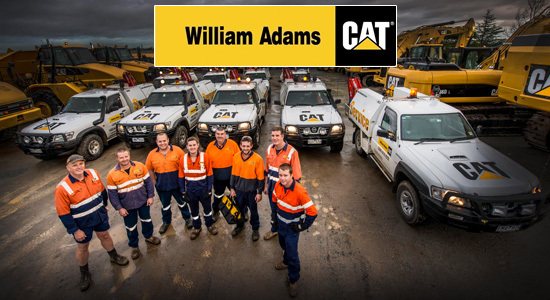 With over 90 years as a Caterpillar Dealer, William Adams has proudly made its mark. Together with Caterpillar, we've been there for customers - selling and servicing the best equipment in the world - on land, at sea, in construction, mining, agriculture and industry. This is a rare opportunity for an experienced Learning and Development Manager to join our dedicated team who are incredibly hard working and passionate but also like to have a bit of fun to keep us all motivated. Based in Clayton, you will be working with an organisation that has an engaged leadership team with a focus on innovation and exceptional customer service. You will create our learning and development strategy, oversee the delivery, as well as assess the overall outcomes. Here at William Adams we are proud to have our own RTO - the William Adams Institute of Training (WAIT). To successfully manage the RTO you will be driven and compliance focused, to ensure we meet all quality obligations and continuously improve the value of our RTO. You are an engaging leader who thrives on motivating your team to deliver superior service and educational results. Building strong relationships and collaborating effectively with our internal and external stakeholders will be critical to your success.